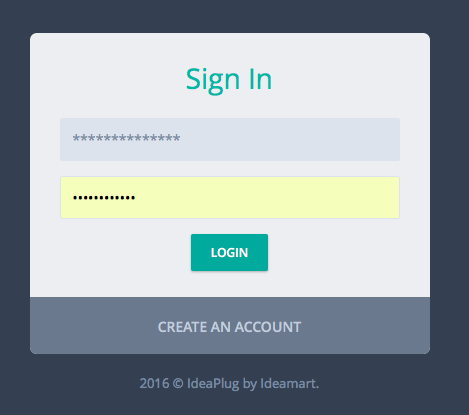 The users can create Ideaplug apps with the use of either Ideamart or Ideabiz platform. 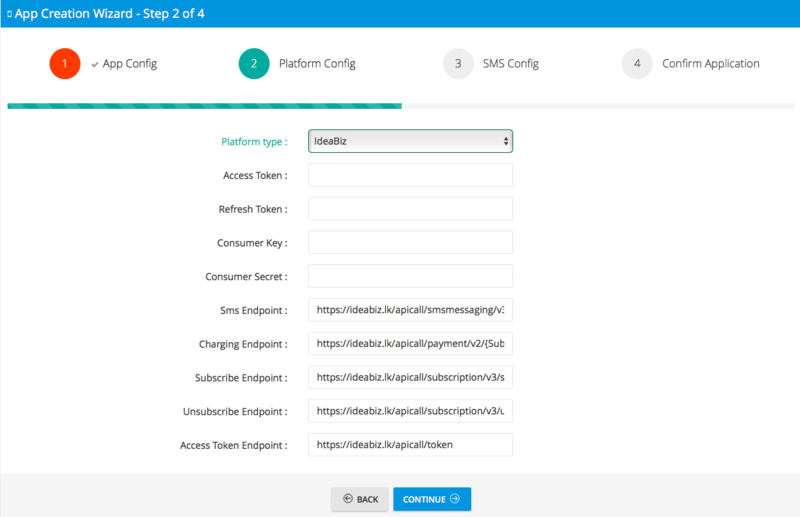 In the future the users can also use any of the Telco APIs which will be integrated system. After login into the system a user can create an application by selecting the Create New App tab in the sidebar navigation. Enable Features: user can select the features he/she require in the app. user can provide all the platform configurations. But before entering the details the user need to select the platform out of Ideamart or Ideabiz from the given drop down. The form will then be generated according to the relevant platform. In SMS Config tab the system requires all the information related to the SMS sent out from the system. It is really important to know few key details of this form and how to receive the information in order to fill the form. Mask: When a SMS is sent out from the application to a user other than showing the port number as the sender address the user can set a mask they prefer. But before putting the mask the user need to request a mask or get the approval for the relevant mask from Ideabiz super admin. For that the user can send an email to support@ideabiz.lk. 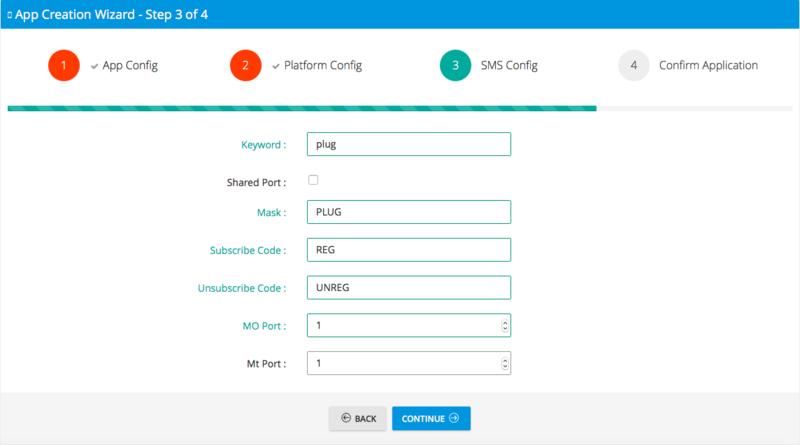 MO Port: Mobile Originated ports can be considered as the port where the SMS will be generated and sent to the endpoint users. MT Port: Mobile Terminated ports can be considered as the port where the SMS will be received to the system sent by endpoint users. 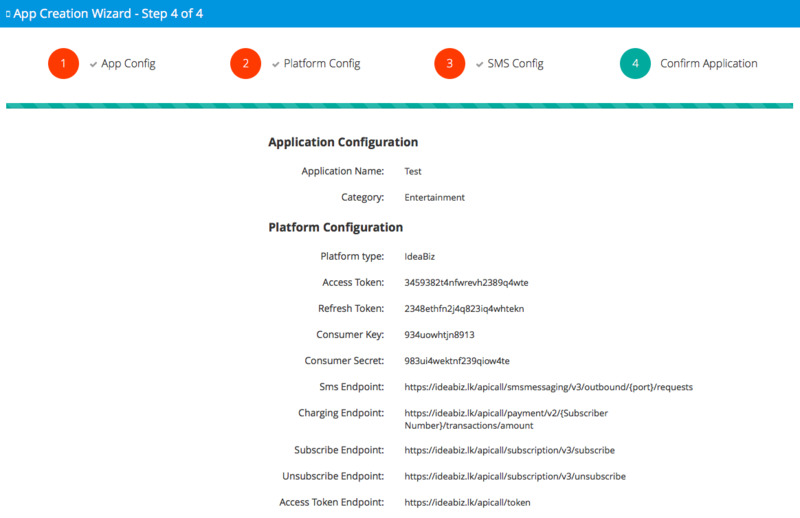 In the last step the page will show the entire configuration the user did so far throughout the step 1, 2 and 3. The user can look into the configurations and confirm the application. Once the app is submitted the user will be able to view the app he/she created in the left navigation bar.